The 11-87 is back up and running with a bit of tinkering & serious deep cleaning. The dent/crease in the recoil spring tube was just enough to stop the follower from passing. So after a few attempts at polishing the bearing surfaces down a tad the shotty now functions a like new. I tell you it was filthy. 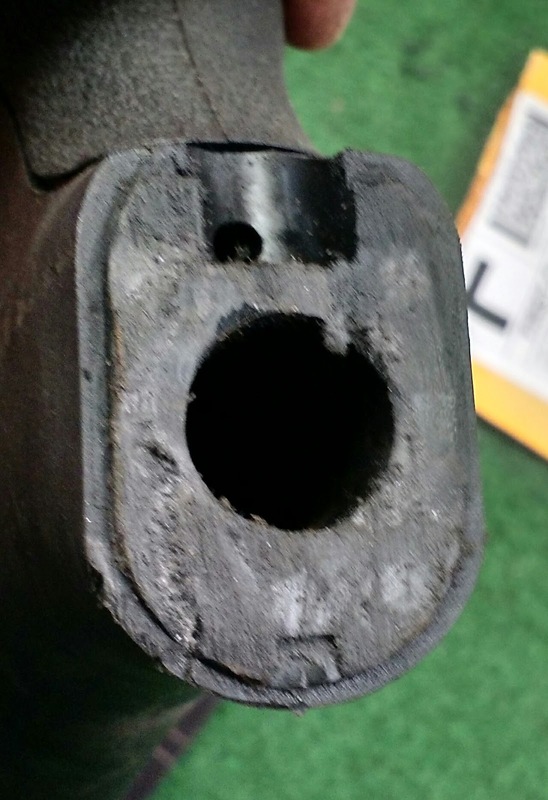 So who filed the stock,hack sawed the recoil spring tube? To make it worse that it already is the recoil spring tube was set in a vice and dented in. Yea so now the recoil plunger gets stuck appx. 3" up in the tube. Recoil follower is sticking in the tube. Magazine spring retainer missing. The magazine tube was so fouled with carbon the gas rings were stuck. Had to Kroll oil and sand the gunk off.